Queen City Lawn & Landscaping, Inc.
Our goal is to connect people with the best local experts. We scored landscapers on more than 25 variables across five categories, and analysed the results to give you a hand-picked list of the best landscapers in Charlotte, NC. Advanced Lawn Care in Matthews is a locally owned landscaping company serving the Charlotte area. Their services provide full-service lawn upkeep for residential and commercial customers. Advanced Lawn Care’s professionals specialize in mowing, fertilization, seeding, mulching, trimming and leaf removal. The company received a Best Of HomeAdvisor award in 2013. AllGreen Grounds Management was founded in Charlotte in 2000. Since then, the team has provided fully licensed and insured work to a number of property types in the Charlotte, Mecklenburg and surrounding areas including homes, commercial centers, homeowner associations, churches and apartment complexes. AllGreen provides lawn maintenance, landscaping, hardscape installation and lighting to its customers but it’s a local industry leader in irrigation systems. The company has been award an Angie’s List Super Service Award. Arnette Irrigation & Landscaping serving the Metro Charlotte area has 23 years of experience in lawn care and landscape construction. Its areas of specialty include flower beds and boxes, patio installation, outdoor murals and firepits. The company’s concern is making its customers happy with their outdoor landscapes keeping their lawns healthy. This includes landscape lighting installation and winterizing services. Since 1998 Busy Bee Lawn & Landscape in Monroe has offered professional lawn upkeep services. 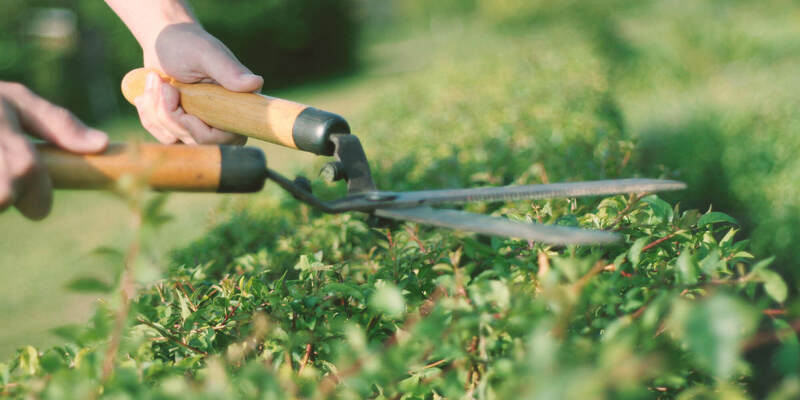 When executing mowing, pruning, weeding or other services, the company’s goal is to improve and maintain the appearance of residential and commercial customers’ properties. Busy Bee carries a North Carolina Department of Agriculture Pesticide license for weed and insect control. It’s available for maintenance jobs on a weekly, monthly or yearly basis. Found in 1986, Custom Landscapes has been a longtime lawn care option for residents and commercial property owners in the Piedmont area (Charlotte, Lake Norman and Hickory). The company’s employees are professional landscape designers and irrigation installers but they’re also well-equipped to provide ongoing lawn maintenance. Additionally, Custom Landscapes has construction experience building and repairing a variety of hardscape structures including patios, retaining walls, driveways and more. In addition to a lawn care service DalaCasa Landscaping & Designs offers full-service landscaping construction to Mooresville, Cornelius, Davidson and Huntersville counties. It’s a family-owned business that works with commercial and residential properties DalaCasa also specialized in irrigation and will educate clients on future upkeep and operations of its systems. Lawn Impressions Lawn Care and Landscaping has worked in the Charlotte Metro and its surrounding areas since opening in 2001. Its owners pride themselves on hiring professional and knowledgeable crews to execute lawn care and maintenance services along with landscape design and installation. Lawn Impressions also installs decks and fences. The company holds an A+ rating from the Better Business Bureau. Lawngevity Landscape & Maintenance, LLC was founded in 2007 and serves Gaston, York, and Mecklenburg counties. It began as a lawn service but eventually grew to a full-service landscape and pesticide service. Its other services include mowing, weed control, fertilizing, planting, and aeration. Lawngevity is also a distributor of humane geese relocation systems. It’s a Better Business Bureau-accredited company with an A+ rating. Pine Valley Turf Management & Design’s first concern is personalized service for its clients. The Charlotte landscapers serve Ballantyne, Concord, Huntersville and Lake Norman. Lawn care services include fertilization, seeding, mowing, and mulching. The company also specializes in hardscapes such as retaining walls, patio pavers and fire pits. Since opening in 1999, Queen City Lawn & Landscaping, Inc. in Huntersville has built a reputation for providing dependable lawn services to Mooresville, Cornelius, Huntersville, Charlotte, Matthews and the surrounding areas. Its specialties are aeration, fertilization, seeding, pressure washing, pine needle removal and mulching. Queen City also does some work with light landscape designs and installations. For 20 years, RDS Lawn Care Services in Mount Holly has provided lawn care in the Charlotte area and beyond, including Mount Holly, Tega Cay, Gastonia, Pineville, Fort Mill, Belmont. RDS Lawn Care Services prides itself on being a small, locally-owned company that’s easily accessible to and trustworthy of its customers. Lawn care services include fertilization, weed control, aeration, seeding and leaf removal. REDengine Lawn & Landscape is a small, family-owned landscaping company in Charlotte. Its mission is to tackle any and all outdoor maintenance needs outside of a home or business—from gutter cleaning to weed spraying to mowing and pruning—with special refurbishing and recovery services for damaged lawns. REDengine is also a professional landscape and hardscape designers and installers. SecureTurf - Charlotte Landscaping Experts in Matthews serve the entire Charlotte Metro area. SecureTurf provides basic lawn care and landscape design as well as hardscape installation (like retaining walls), outdoor living spaces (such as patios) and irrigation systems. The company has been beautifying Charlotte’s lawns for over 20 years. The owners work with customers to bring their personal visions of their homes to life while also respecting a property’s natural terrain. Charlotte’s Southern Land & Turf has spent its ten-plus plus years of business developing long-term relationships with its commercial and residential patrons. The company is available for construction like landscape and hardscape design and installation, but also feels strongly about continuing to provide ongoing maintenance (mowing, weed control, fertilizing) once a design project has been compete. SouthPark Landscape is a Charlotte Metro landscaping business that opened in 2000. Since then it’s served more than 300 homes with landscape design, maintenance, and outdoor living solutions services. SouthPark Landscape also specializes in residential and commercial lawn care needs, including aeration, fertilization, and seeding. The company is also fully equipped to handle larger construction projects such as hardscape and irrigation installations. Opened in 2001, Sullen’s Lawn Care in Indian Trail strives to be a “one-stop shop” for all property owners in the Charlotte Metro area. Those needs can include landscaping, retaining wall installation, irrigation system installation, chemical applications, lawn maintenance and more. As its name suggests, the Charlotte-area landscapers at Treescape specialize in tree removal, planting, and pruning. The company is also experienced with storm recovery and cleanup, specifically with trees that have become a threat to properties after large storms. Treescape can also remove dead trees and stumps. The company is a certified arborist through the International Society of Arboriculture and is accredited by the Better Business Bureau. Charlotte’s Vision Green Landscape breaks its business down into three areas: landscaping services, irrigation systems, and lawn maintenance. Lawn maintenance can include aeration, seeding, sodding and turf management. Vision Green’s Charlotte landscapers aim to eliminate client’s personal involvement in yardwork and keep lawns healthy. Whitehouse Lawns Inc. is a family-owned Charlotte landscape and lawn care company that opened in 1997. It service area includes Charlotte, Concord, Matthews, Waxhaw, Indian Trail, Ballantyne, Fort Mill and Lake Wylie. Whitehouse offers comprehensive landscape maintenance packages for residential and commercial property owners.